Texas continues to grow and prosper for many reasons and, as Texans, we should be forever thankful. We tend to possess an old-fashioned work ethic that marries friendilness, diligence, and a unique adaptibility. We have a favorable tax structure and a prudent, although sometimes lenient, regulatory environment; a pleasantly warm climate most of the year; and vast, magnificent topography and ecoregions, from the East Texas Pineywoods, Gulf Coast waters, and farmlands of the Rio Grande Valley to the windswept high plains of the Texas Panhandle and rugged moutains and biodiverse deserts of West Texas. Mother Nature and technological advances have also blessed Texas with energy. Oil and gas, wind, solar, and just about anything else you can imagine is here in our state in abundance. As we continue to grow, so does our appetite for all things affordable energy. Our energy-rich state set several records for energy production and consumption in 2018, and there is no end in sight to this economic phenomenon. 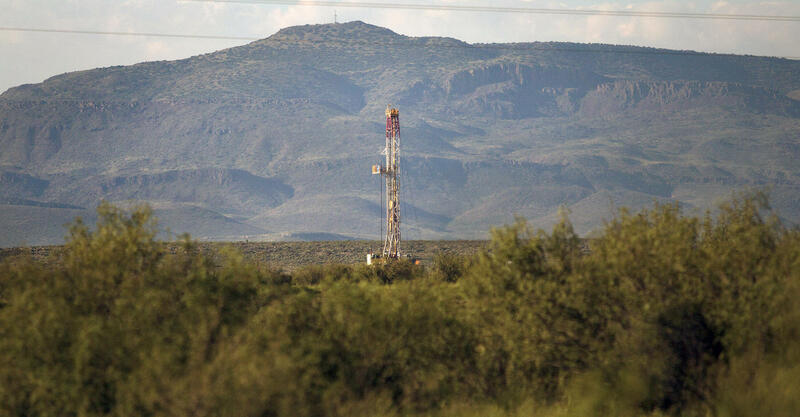 As a result of this constant growth, new technologies coming online, and one of the biggest oil and gas discoveries in decades (Apache Corporation's Alpine High), the energy boom is moving toward the Big Bend region of Texas. And, with it, this unique opportunity for area residents also presents myriad new-found challenges for communities, schools, and families. The oil and gas industry has been an integral part of our state since the start of the 20th century. Many fortunes have been gained and lost in the oil and gas fields of Texas. And now, Texas leads the nation in renewable energy production as well. Massive wind farms have sprung up in the Panhandle, West Texas, and along the coastline. Industrial-sized solar plants are being developed in rapid fashion as well. While the benefits of energy production are plentiful, this bounty comes with a cost. Our beautiful, environmentally-critical, wide-open spaces are fundamental to the history and heritage of our culture. The lure of the vast expanse of this West Texas landscape continues to attract residents seeking a simpler lifestyle, and draws millions of visitors every year from all over the world. People want a glimpse of Texas' genesis—the place where the buffalo roamed, Native Americans ruled for centuries, and gunslingers were legendary. The Big Bend region represents this in spades, when people were a bit friendlier and life was seemingly a lot less hectic. And, for the most part, it’s still that way west of the Pecos River. The Big Bend region is one of the last magnificent wild west landscapes in Texas. 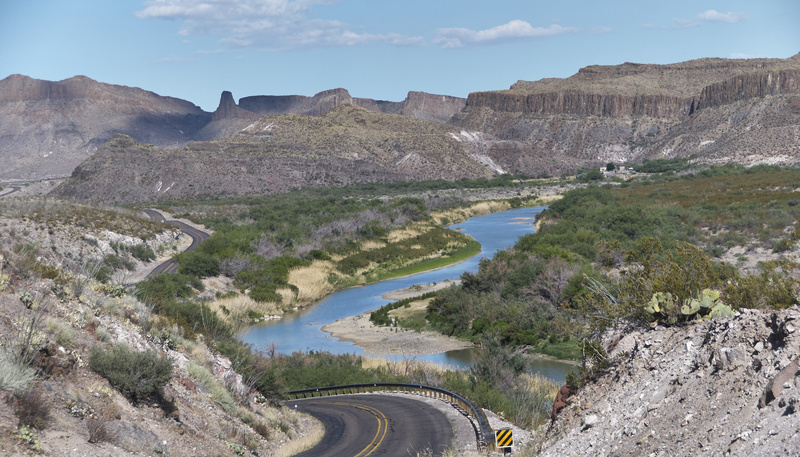 Can you imagine a Texas without the iconic views, welcoming communities, and natural beauty of the Trans-Pecos region? Texas has had other booms recently—the Barnett Shale and the Eagle Ford have proven profitable, but also damaging to the landscape and natural resources of their respective areas. Water resources are drained, roads are dangerous, and sometimes well sites can become an environmental liability, particularly when it comes to the best interests of the greater good. And, commonsense tells us we can do better. We can provide for our state’s growing energy needs while simultaneously ensuring preservation and restoration of the natural beauty. A commitment to reclaiming well sites and planning for less disruptive transmission lines are examples of steps that can be taken to preserve our lands, water, communities, and heritage. When developing energy in the Big Bend region, whether it be oil and gas or renewables, we should maintain the ecosystems and the unspoiled beauty of the area. We won't get a second chance to sustain one of the last great regions of the United States. I'm confident it's possible to develop a planning process that affords everyone a say in energy development, conservation, and environmental protection. These objectives need not be mutually exclusive. Development of this region can be done with forethought and conviction and, importantly, succeed by design. In collaboration with energy production companies, energy experts, scientists, community leaders, residents, landowners, mineral right owners, and other stakeholders, the Cynthia and George Mitchell Foundation is working to identify and implement best management practices in the Greater Big Bend Region. The oil and gas industry is making a significant effort to smooth out the wild swings that come with new development. Specifically, they are working earnestly to minimize the impact of construction on roads, schools, hospitals, and crime in affected areas. Efforts to mitigate the effects on the landscape and the environment would be a diligent use of resources. The Texas Legislature can help. Texas has created an Economic Stabilization Fund (the “Rainy Day Fund”) which is funded by a severance tax on oil and gas, which means that most of the funds for that endowment come from West Texas. Comptroller Glenn Hegar has developed an innovative concept that would allow some of the investment earnings from the “Rainy Day Fund” to be spent on priority needs of the state while maintaining a conservative fiscal policy. The proposal is called the Texas Legacy Fund and creates a second tier of endowment. The earnings from the second tier, which the comptroller estimates would produce billions of dollars over time, could be used to address priority expenditures. The Legislature should adopt the comptroller’s’ suggestion and then use a portion of those funds to preserve the Greater Big Bend Region as a shining example of Texas history. It only seems logical that a region responsible for producing revenue for the “Rainy Day Fund” should be a priority for the use of those same funds. Let’s employ lessons learned—both good and not so good—from other energy developments, and get this right. Let’s go the extra mile to preserve our culture and heritage and make John Wayne and all the Texas cowboys proud of our commitment to Texas and our communities and beautiful, wild landscapes west of the Pecos. Kip Averitt is the principal of Averitt & Associates. As the former chair of the Texas Clean Energy Coalition, Kip is an expert in legislative strategy and community outreach. After serving over nine years in the Texas House of Representatives, including two terms as chairman of the House Committee on Financial Institutions, Averitt was elected to the Texas Senate in 2002. Averitt was chairman of the powerful Senate Committee on Natural Resources. Since opening Averitt & Associates in 2010, Averitt has been recognized for his expertise and leadership on water policy, water conservation, and clean energy issues. Kip earned a BBA and MBA in economics and finance from Baylor University. Editor's note: The views expressed by contributors to the Cynthia and George Mitchell Foundation's blogging initiative, "Actionable Solutions for a New West Texas" are those of the author and do not necessarily represent the views of the foundation. The foundation works as an engine of change in both policy and practice, supporting high-impact projects at the nexus of environmental protection, social equity, and economic vibrancy. Follow the Mitchell Foundation on Facebook and Twitter, and sign up for regular updates from the foundation.